My cousin DE Buller and Holly got married back in April. 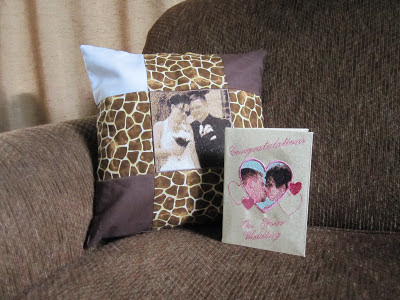 I finally finished an embroidery card and pillow for them. Since I am using wedding pictures to make them, its a given that its going to be a little late. Wishing them the best.